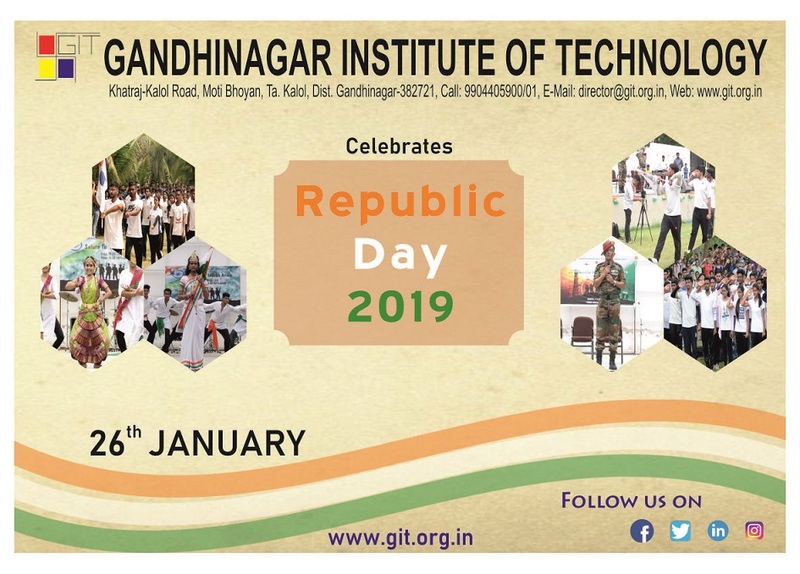 Gandhinagar Institute of Technology is going to celebrate 70th “Republic Day of India” on 26th January 2019. One of the eminent personalities from Indian Defense Forces will be the Chief Guest of the event. Huge number of students, Trustees, Principal Dr H N Shah, Faculty and Staff members are going to take part in this memorable event. The students of the Institute will perform various events like March Past, Singing and Dancing in order to show patriotism.